Dr. Mike Nelson is a human performance expert and faculty member for the Carrick Institute. 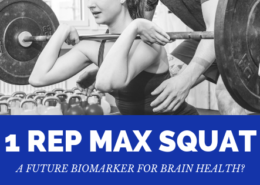 In this episode Mike discusses some of the hidden ways an athlete can get more from their bodies by modifying their training to match the demands of the brain and nervous system. We also get into the concept of metabolic flexibility. A great listen for anyone that is involved in training athletes or are aspiring athletes themselves. With the high school, NCAA, and NFL seasons right around the corner, I decided that we re-visit my favorite topic; concussions. This week we have a 2-episode special on concussions featuring one of the most sought after clinician experts in the country, and a fast growing name in the research of post-concussion syndrome. Dr. John Leddy is a concussion researcher with a sports medicine background out of the University of Buffalo. He’ll be talking about future considerations in concussion management that goes beyond treating the brain and making sure that we protect the neck. With the high school, NCAA, and NFL seasons right around the corner, I decided that we re-visit my favorite topic; concussions. This week we have a 2-episode special on concussions featuring one of the most sought after clinician experts in the country, and a fast growing name in the research of post-concussion syndrome. Episode 23a features Dr. Tad Seifert an expert in neurology and sports medicine. He’s combined his passion for sports and the brain to be a leader in the field of sports concussion. He’ll talk about his experience and what the evidence says about head injuries, and what you can do to better help prepare your athlete for their sports season. 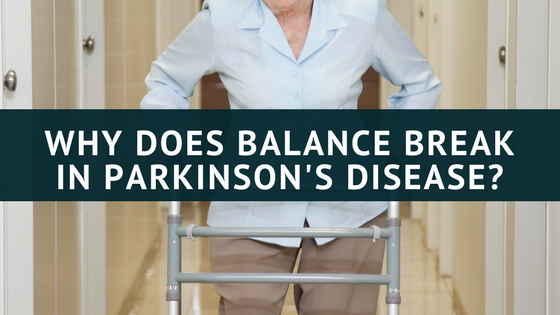 Balance and postural control are some of the most challenging areas to deal with in Parkinson’s Disease. Dopaminergic treatments that are typically given for PD have not shown much benefit for the stooped posture and unsteady feeling that PD patients commonly experience. This suggests that other parts of the brain may be causing these balance problems, and that other forms of therapy may be required to improve balance and posture in PD patients. 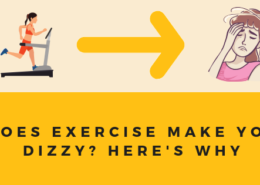 How does something as simple as exercise improve the symptoms of a brain disease like PD? How can we use some of these concepts to help patients with PD overcome plateaus in their improvement? That’s what I’ll try to answer today. It’s hard to appreciate just how complicated balance is until you start to lose it. The maintenance of posture and balance is so important and complex in the human body that some of the largest and fastest tracts in your spinal cord are dedicated to the use of your back muscles. 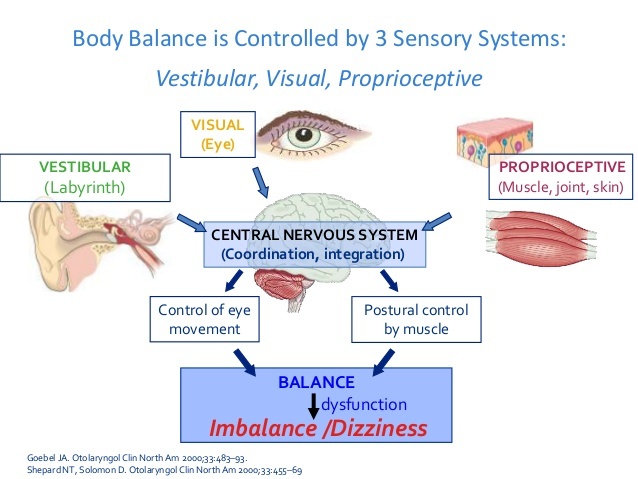 In order for balance to work properly, it requires the use of 3 super important sensory systems. This includes your vision from your eyes, the vestibular system from your inner ears, and your proprioceptive system from your skin and joints. Most of use can understand how important your vision and vesibular system are to your sense of balance so I won’t get into that much, but many people have no idea what proprioception is. Proprioception is a sense dictated by movement detected by your skin, muscles, and joints. If you were to close your eyes and raise your hand over your head, you can reach up with your other hand and touch that body part without looking at it. How does your body know? Because there are sensors in your skin and joints telling your brain where it is in space all of the time. 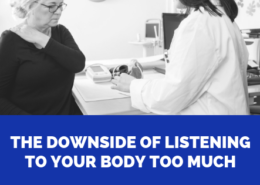 When it comes to balance, these same sensors that exist in your spine and in your ankles play an enormous role in keeping you upright, and it is the breakdown in this system that commonly leads to balance and posture problems in people with PD. 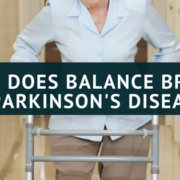 Research has shown that patients with Parkinson’s Disease typically have a balance system that is overly reliant on vision and has mostly normal inner ear function. This implies that it is the proprioceptive system that breaks down leading to a heavier reliance on vision to compensate. Why does this break down? Because the basal ganglia (the area of the brain affected by Parkinson’s) plays a really important role in your body’s joint position awareness. 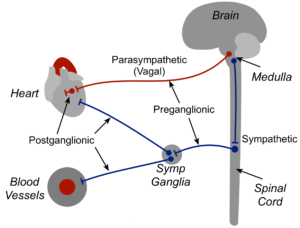 The basal ganglia is a really important relay station for proprioceptive information to get to the higher parts of the brain in the cortex. When the brain can’t integrate this proprioception, then it can’t provide feedback to the muscular system to make appropriate adjustments. This can be problematic because in people without balance problems need proprioception to stay upright and balanced with stability. If you can’t make adjustments to your muscular system, especially in the dark, then your likelihood for falling increases dramatically with a little push from an unexpected source. 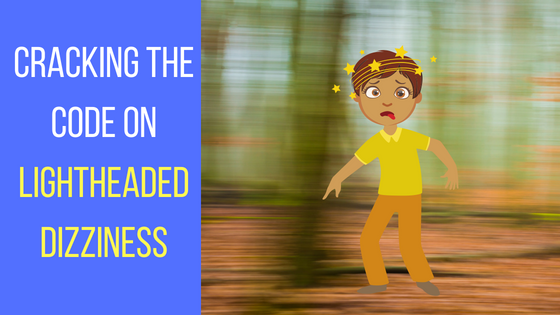 Proprioception is a big fancy word that sounds like it requires tools and advanced therapies, but in reality it is generated by simple movement. Every time your muscles contract or a joint moves, you are increasing proprioception into the brain! That’s why exercise of all shapes and sizes tends to help patients with Parkinson’s Disease. In addition to standard exercise programs, patients with PD may benefit from therapies that help their brain better integrate sensory stimuli. This can include different types of proprioceptive therapies that include visual feedback training, eye movement training, and vestibular rehabilitation from a functional neurology perspective. 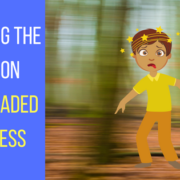 Plus the impact that a specifically targeted chiropractic adjustment has on the the proprioceptive system of the brain is becoming more well documented as a reason it can help people maintain better balance. 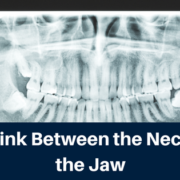 The TMJ connects the jaw to the rest of your head. It’s purpose is to help guide the jaw, so that the bottom teeth are in alignment with the top teeth resulting in an even bite. 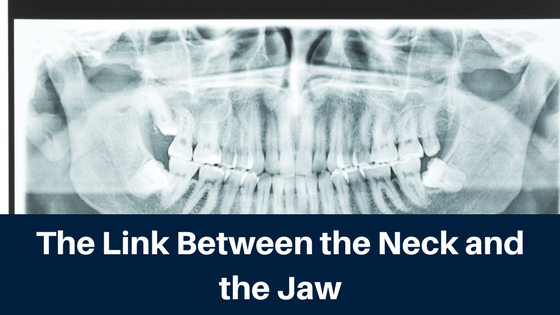 When the misalignment of the TMJ occurs, the jaw muscles preform differently which causes the the muscles of the head and neck perform differently as well. If this happens, it will effect the person’s bite and possibly lead to an early break down of the joint. How does the neck play into TMD? The TMJ might not be the root cause for the disorder and research suggests that the structure of the head and neck plays a factor. 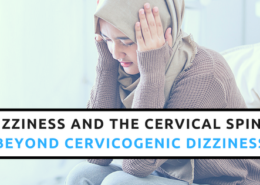 Evidence suggests that when there is an increase in cervical spine disorders it perpetuates factors for TMD. A cervical spine disorder being caused my repetitive motions and postural alterations of the head and neck. Another study showed that alterations in the TMJ can shift the vertebrae in the neck, especially the Atlas bone. This demonstrates their close relationship and when one of these structures shifts it can cause the others to shift as well. When this happens it puts abnormal stress on these structures where they’re connected effecting their proper function. That’s why it’s not too uncommon for a person to develop TMD after a traumatic event such as whiplash from a car accident. The severity of TMD can vary from person to person. Some will find their TMD to be just an annoying click while others may feel a severe amount of pain and extremely limited ability to open or close their jaw. Patients who suffer with severe TMD are usually faced with the prospect of splints or surgery to fix their problem. While some types of TMD may require surgery, many cases respond well to a structural approach to chiropractic using the NUCCA protocol. A gentle correction of the top vertebrae may be enough to decrease the jaw, neck, and headache pain as well as encourage some relaxation of the jaw muscles. When done in conjunction with a specialist in neuromuscular dentistry, many patients can experience a tremendous amount of relief. If you are looking for conservative options to help address TMD, a Complimentary Consultation with our office can help you see if you a good candidate for this type of treatment. Parkinson’s Disease is a devastating and complicated neurodegenerative disorder. Many people have become familiar with Parkinson’s Disease due in part to advocacy and awareness campaigns from watching the progression of celebrities like Mohammed Ali and Michael J. Fox. As a whole, people have come to know that Parkinson’s Disease is tied to the masked face appearance, tremors, dementia, and a slow shuffling gait, but there’s so much more to the illness than most understand. Parkinson’s Disease falls into a class of disorders called Parkinsonism. Parkinsonism basically describes the chief movement problems seen in PD patients including the rigidity, tremor, slowness, and balance/gait problems. However, not everyone with these signs and symptoms have Parkinson’s Disease. Some patients may have adverse drug reactions causing dopamine depletion, some may have a severe breakdown of their autonomic nervous system called multiple systems atrophy, and others may have Parkinsonism following a series of strokes called vascular Parkinsonism. Some are easier to treat than classic PD, but others may actually be worse and less responsive to treatment. People are usually diagnosed with classic PD when other causes have been ruled out. 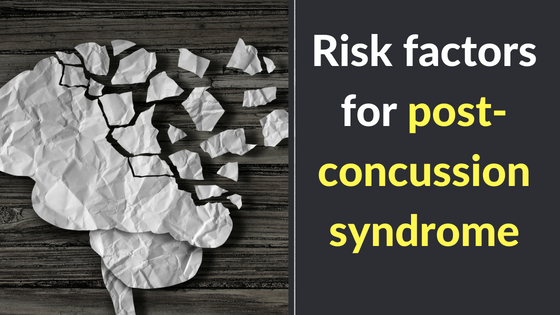 Because of this, brain imaging studies like MRI are typically negative in PD patients. Many classic PD patients will also have digestive symptoms before the movement disorders become present (This will be an important point later on) in addition to sensory problems like a loss of smell . Finally, most classic cases of PD will show improvements in their movement when placed on dopamine medications like levodopa. Conventional Parkinson’s Disease treatment sees the substantia nigra/basal ganglia as the area of damage and needs treatment. In the classic view of Parkinson’s Disease, the region of the brain affected is called the basal ganglia. The basal ganglia plays a critical role in voluntary movement, movement planning, thinking, eye movements and emotion. It is an incredibly complex region of the brain that shows very pronounced symptoms when this area is damaged. In fact, most things that we consider movement disorders occur because of problems in the basal ganglia. 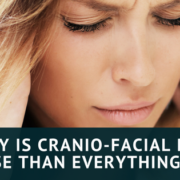 This includes dystonia, Huntington’s Disease, Tourette’s syndrome, torticollis, and more. What is often forgotten is that the basal ganglia is one of the most interconnected regions of the brain. While we all know that everything is connected as a pleasent euphemism, this is very literally true for the basal ganglia. It affects cognition, emotions, and especially movement, the basal ganglia is involved. 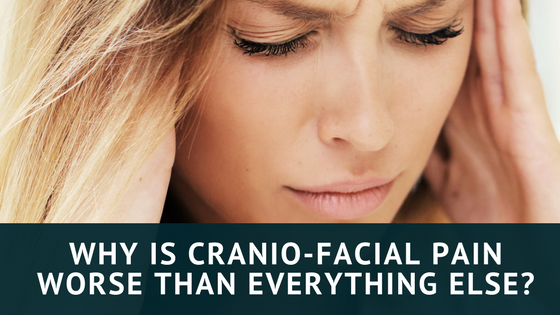 That’s why it can cause such a wide variation of problems from hitting a small region of the brain. But that’s not all. 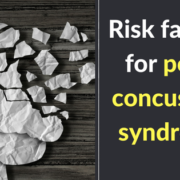 Parkinson’s is now generally accepted as a disease of abnormal protein aggregation similar to Alzheimer’s Disease, Chronic Traumatic Encephalopathy, and Mad Cow Disease. The protein that is malfunctioning is called alpha-synuclein, which is present throughout the brain but when it misfolds, it can damage neurons and spread to neighboring tissues. While Parkinson’s is associated with these protein aggregates in the substantia nigra, studies have shown that alpha-synuclein can be found throughout the brain and even in peripheral nerves. Where is this rogue protein coming from? 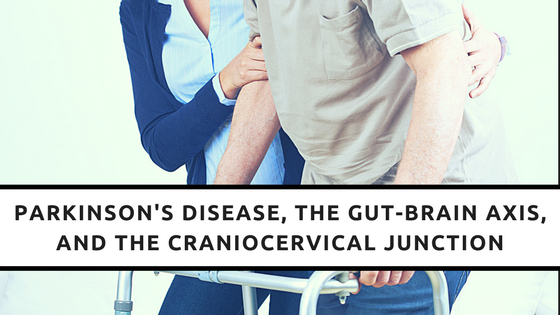 Some recent studies have suggested that Parkinson’s disease may actually originate in the gut. Multiple studies have shown that alpha-synuclein is present in the intestines of PD patients before the onset of neurological symptoms. 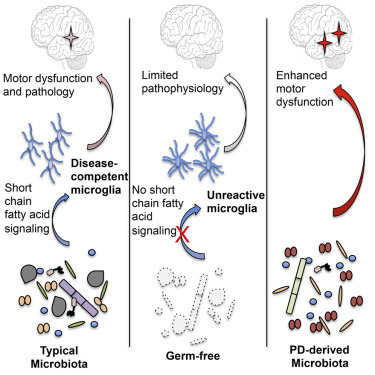 A 2016 study in the journal Cell showed that mice bred to produce alpha-synuclein only expressed PD-like disease processes in the presence of gut bacteria producing metabolites that stir up neuroinflammation in the brain’s glial cells. The same study showed that if the gut bacteria from human patients with PD when injected into a mouse will produce PD-like symptoms. Another compelling study published in Neurology in 2017 showed that patients who had a surgery to remove the vagus nerve in humans with ulcers is associated with a protective effect against Parkinson’s Disease. The authors noted that the vagus nerve may be the route that the rouge alpha-synuclein proteins make their way from the gut to lower brainstem and up to the substantia nigra. A more complete view may require taking a step back and understanding the relationship between the gut microbiome and the vagus nerve. Studies have shown that composition of your gut bacteria, and that gut bacteria can use the vagus nerve to create cognitive and emotional changes. There’s also evidence that vagus nerve activity can be measured through heart rate variability. These measurements can predict changes in PD and can be improved through interventions like electrical stimulation and exercise. Most importantly for us, vagal nerve responses give us the most likely mechanism for how some patients with PD can improve by addressing the neck. So how can a chiropractic intervention possibly improve a patient with Parkinson’s? Based on conventional theories on Parkinson’s, the substantia nigra and the dopamine producing neurons in this part of the brain has to be the target for treatment and therapy. As much as I love chiropractic as a profession, there’s nothing that I am doing that is going to magically make substantia nigra neurons grow back to life again. One of the intriguing things that brought me from a traditional form of chiropractic to an upper cervical and neurological approach was the way that this form of chiropractic seemed to produce good results with people who had neurodegenerative disease like Parkinson’s Disease. Getting the chance to help people gain some aspects of their quality of life when conventional medicine just didn’t provide much was something I’ve always appreciated about chiropractic. I was drawn to a study by an Upper Cervical Chiropractor named Erin Elster who wrote up case studies on dozens of patients with PD. The study looked at 81 patients with PD or multiple sclerosis and monitored the patient response to upper cervical care over time. In the Parkinson’s group, there were 37 patients and 23 out of the 37 patients experienced an improvement in at least half their symptoms. These symptoms ranged from musculoskeletal symptoms like posture and pain to more neurologic problems like tremor and balance. Out of those 23 patients, 16 of them experienced a substantial improvement where all of their symptoms showed either improvement or resolution. Back in 2011, I documented some similar improvements in a 67-year-old female patient with Parkinson’s Disease who was having problems with repetitive falls and tremors that was causing difficulty with basic activities of life and work. 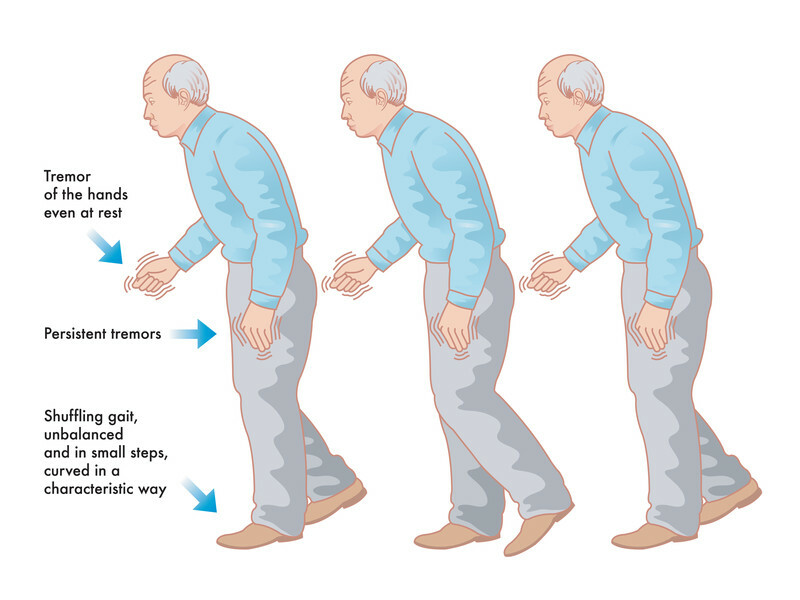 Within 6 months, the number of falls reduced significantly while tremor and rigidity were noticeably improved. You can read about my early thoughts on this in the original case study here. I’ve had the pleasure of seeing several patients with Parkinson’s Disease get pretty similar results over the years with one even having a 70% reduction in tremor activity and improved gut symptoms. If we aren’t affecting the damaged substantia nigra, then how is a chiropractic intervention providing improvements in PD symptoms? 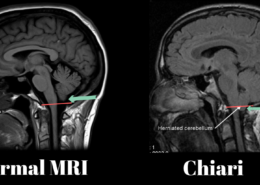 One idea is that chiropractic adjustments may help drive better compensation in movement planning by the way that adjustments can increase activity of the cerebellum. This way, if the basal ganglia can’t control your movements, then the cerebellum can help make up for it a little bit. There’s also a theory of neurodegeneration that involves changes in cerebral spinal fluid and venous drainage that applies well to multiple sclerosis, but no evidence currently exists that a mechanism like this would create parkinsonism. 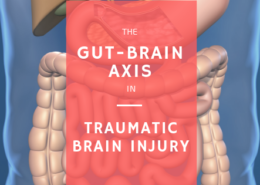 But the thing I’m most interested in is that gut-brain connection we discussed earlier. 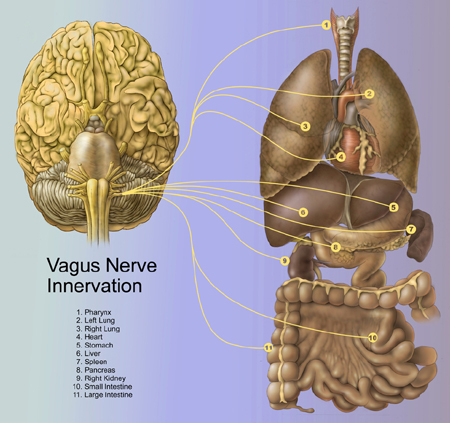 The vagus nerve and it’s connection between the brain and gut is growing area of interest for a small subset of chiropractors. 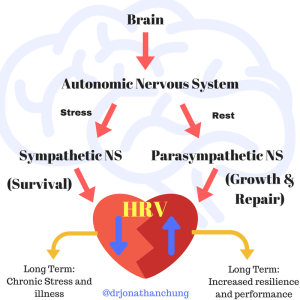 We know that we can use heart rate variability (HRV) as a way to measure the activity of the vagus nerve and we know that chiropractic has some preliminary studies showing it has a positive impact on HRV. 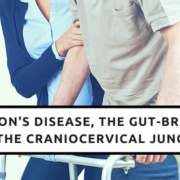 The craniocervical junction is particularly unique because of it’s proximity to the the brain stem and key neurovascular structures that may influence the vagus nerve. Strains, fixations, misalignments, and malformations of the skull and neck can impact the way the brain processes important neurological information and indirectly impact the home of the vagus nerve nerve in the brainstem. Additionally, top bone in the neck called the Atlas also has a capacity in some patients to compress the internal jugular vein which has the capacity to wreak havoc on the vagus nerve by causing a condition called dysautonomia. Studies have shown that severe forms of dysautonomia do produce Parkinsonism via multiple system atrophy, and some PD populations can show characteristic signs of dysautonomia. While all of these is very much hypothetical, if we know we are impacting HRV, then it is plausible that every time we touch the upper neck, we are potentially affecting the vagus nerve and those very important bacteria in our guts. But I won’t say that results with Parkinson’s Disease are typical. I’ve taken care of some patients with PD who get no improvement at all. A lot of this depends on the nature of the person’s illness, how far along in the disease process the patient is, and other factors that can dictate the brain’s ability to adapt. It’s a progressive and challenging illness no matter how you spin it. However, Parkinson’s Disease is an illness that can have devastating effects on someone’s quality of life as they age. At best we are decades away from a meaningful cure, and in the meantime we need to explore safe options that can meaningfully improve someone’s quality of life for all too fleeting moments that their brains are mostly in tact.